The failure of a hard disk leads to loss of recorded information are often very valuable for the owner. It is therefore necessary to monitor closely the operation of the drive in time to notice symptoms. The full name of the hard disk drive on hard disk drives (HDD). Information is stored on a ferromagnetic layer deposited on a round plate of metal or glass. 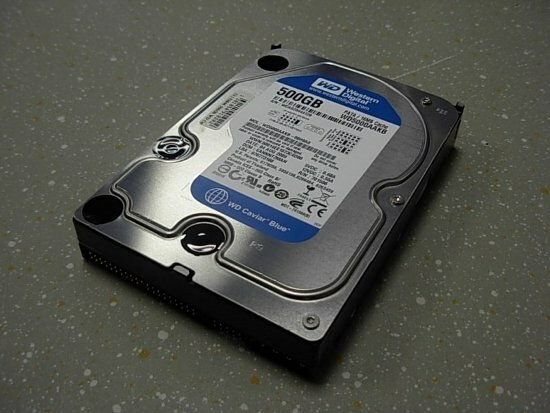 The drive may consist of one or of several plates separated by separators of non-magnetic material, which regulate the air flow inside the sealed chamber and suppress the noise from the hard drive (another name for the HDD). Recording and reading of information is performed using magnetic heads mounted on the ends of arms. The head is held at a distance of several nm from the magnetic surface due to air flow, which is generated during the rotation of the disks. The rotation speed is one of the main characteristics of the hard drive. The higher it is, the faster the access to information. At rest, with a stationary disk, the magnetic head returns to the Parking area where they cannot damage the magnetic surface. This zone is usually placed in the spindle, around which the rotation occurs or outside drives. Contactless method of recording and reading ensures the safety of the device. Clicks are heard when the positioning of the heads. If in the power saving mode of the system is specified disconnecting the drive or switching to sleep mode, clicks will be heard often enough. Another reason for the repositioning of the head may be an increase in the temperature inside the HDA. Unstable power also affects the accuracy of positioning of the heads and may cause clicks. In the worst case cause clicks will be the defects of the magnetic surface or the magnetic head does not see the servo labels of sectors on the hard drive. Clicks can be the consequence of self-test hard disk in which the firmware marks bad sectors. To avoid problems with power supply, try replacing the computer's power supply or connect the hard drive to another system unit. Inspect the appearance of the power connectors - if they are darkened, you may have a bad contact and short circuit. Check hard disk for overheating – perhaps it requires a forced cooling. If the HDD led located on the front panel lights up and the hard disk is making clicking is evidence of the difficulties with positioning of the heads. Test drive programs Victoria or MHDD. If the results of the S. M. A. R. T. will be disappointing, it is better to save important data to another media and replace the hard drive.